The San Francisco Giants will try and close out against the St. Louis Cardinals tonight and leap into the World Series. This Game 5 will probably take away the attention of most Bay Area fans from the Warriors’ fourth preseason game. As the NBA continues to expand across the country, they have scheduled a matchup against the Denver Nuggets in Des Moines, Iowa. 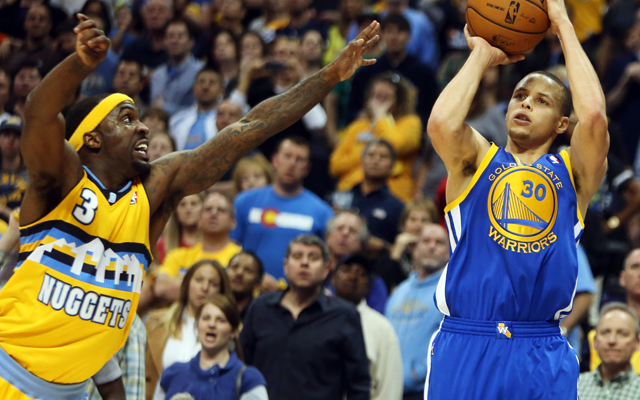 In order for the Warriors to stay perfect, they’ll have to have to slow down Ty Lawson and the Nuggets’ offense. The 19th overall pick in the 2014 NBA Draft is known for his two-way basketball play. He had a strong showing in the Vegas Summer League, even dropping 33 points on the Toronto Raptors. He currently plays behind Arron Afflalo and Randy Foye but this kid can play. His offensive skills may need some honing but there’s no question about his defense. 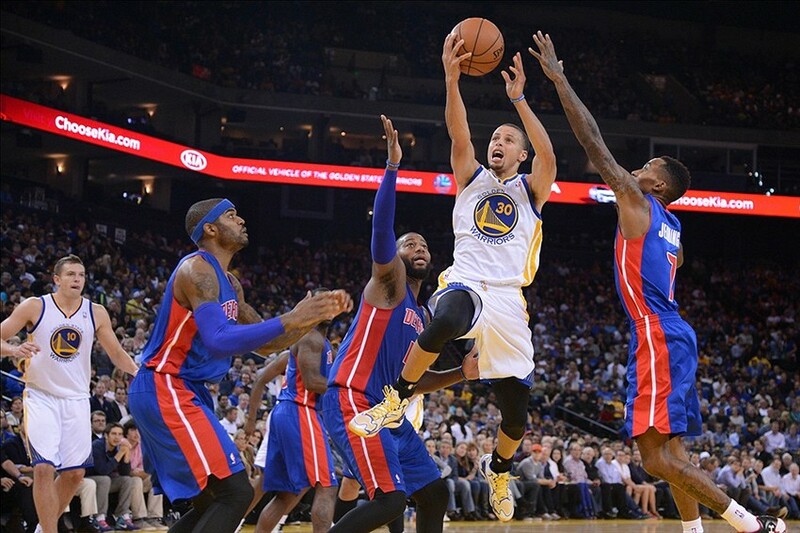 He’s a superb perimeter defender and head coach Brian Shaw may give him some run against the “Splash Brothers”. The best thing about this three-time NBA Dunk Contest winner is that Nate Robinson represents the common man. Standing at 5’9’’ and weighing in at 180 pounds, be sure not to take his size for granted. When he’s on the court, he is always a fun guy to watch. He’s a veteran guy who can get hot quick and bring energy and excitement throughout the arena. 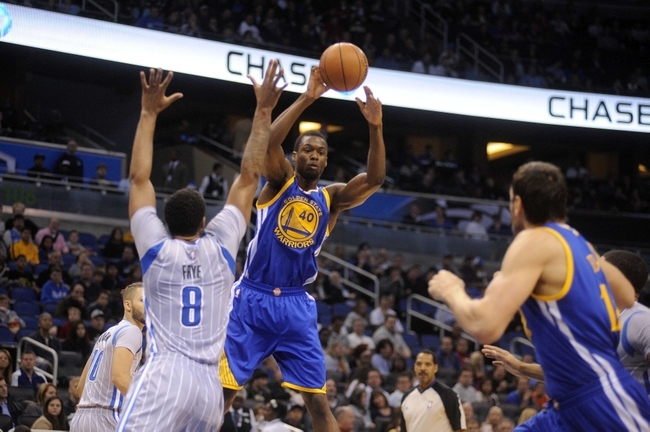 Robinson has bounced around the league a lot and even had a short stint in Oakland with the Warriors (2012). The high energy “Manimal” will always play hard and it’s never an easy task to contain him. The Warriors’ bigs are more traditional in size as the “Manimal” plays with a hustle mentality and athleticism. He was a longshot to make the FIBA roster and ended up becoming a crucial piece of the team with Stephen Curry and Klay Thompson. Already in this pre-season, we’ve seen Thompson’s game expand and Faried may have developed in his own way. Standing at 6’8″, the big men will have to keep a body on Faried to keep him away from the paint. The Nuggets can play offense just as well as the Warriors. In order for the Dubs to win this game, they’ll need to play good defense and to box out. First, we’ll start with the guards: Arron Afflalo and Ty Lawson are phenomenal scorers. 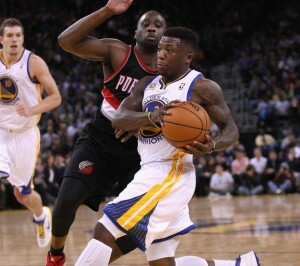 Like the Warriors guards, they can easily get hot from beyond the arc. The Nuggets also have good big men in JaVale McGee, JJ Hickson, and Kenneth Faried. All three bigs are great rebounders. 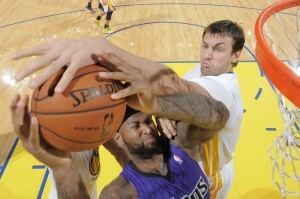 Fundamental boxing out and hustling on boards will put the Warriors one step ahead. This will probably always be a key to a victory. The Warriors have been playing well together but keeping the bad passes will be critical in tonight’s game. The Nuggets can matchup well with the Warriors and careless mistakes will kiss this game away. 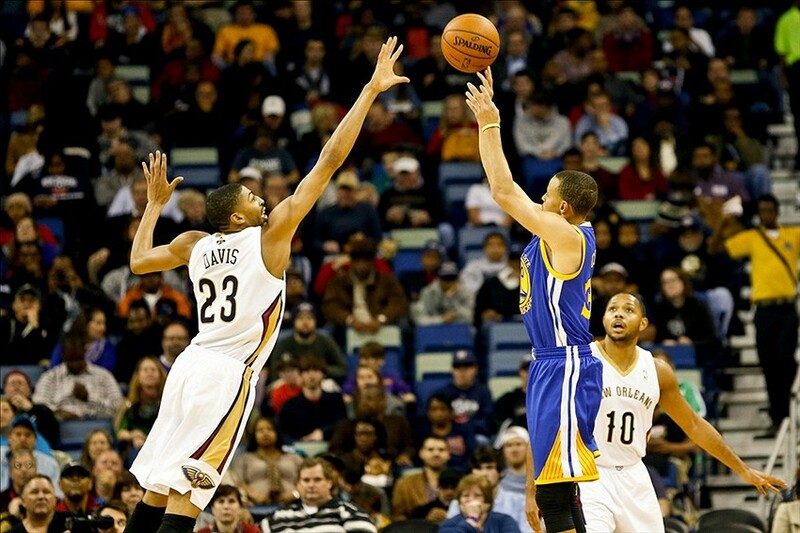 It’s great to see the “Splash Brothers” playing with so much confidence. They’ve been killing the competition in the last three games and when the three-ball is falling for the Warriors, they’re nearly unstoppable. 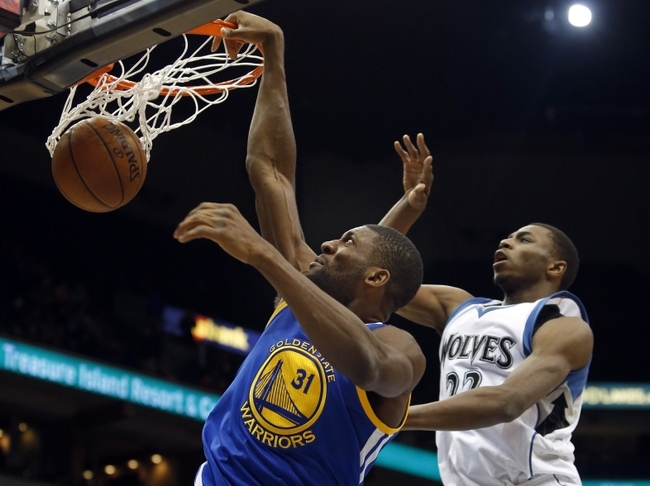 Draymond Green, Andre Iguodala, and Leandro Barbosa should also chime in and sink a few baskets. Warriors Daily Links: Should Andre Iguodala Come Off The Bench?